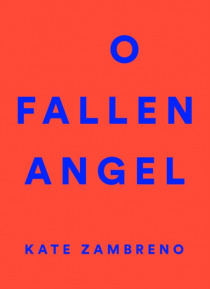 The haunting debut novel that put Kate Zambreno on the map, O Fallen Angel, is a provocative, voice-driven story of a family in crisisand, more broadly, the crisis of the American familynow repackaged and with a new introduction by Lidia Yuknavitch.Inspired by Francis Bacon's Three Studies for Figures at the Base of a Crucifixion, Kate Zambreno's brilliant novel is a triptych of modern-day America… set in a banal Midwestern landscape, told from three distinct, unforgettable points of view.There is "e;Mommy,"e; a portrait of housewife psychosis, fenced in by her own small mind. There is "e;Maggie,"e; Mommy's unfortunate daughter whom she infects with fairytales. Then there is the mysterious martyr-figure Malachi, a Cassandra in army fatigues, the Septimus Smith to Mommy's Mrs. Dalloway, who stands at the foot of the highway holding signs of fervent prophecy, gaping at the bottomless abyss of the human condition, while SUVs scream past.Deeply poignant, sometimes hilarious, and other times horrifying, O Fallen Angel is satire at its best.